Stressful events early in life can affect children’s mental health problems. Collecting valid and reliable information about children’s bad experiences is important for research and clinical purposes. 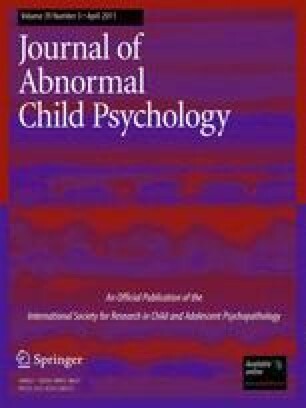 This study aimed to (1) investigate whether mothers and children provide valid reports of bullying victimization, (2) examine the inter-rater reliability between the two informants, (3) test the predictive validity of their reports with children’s emotional and behavioral problems and (4) compare the genetic and environmental etiology of bullying victimization as reported by mothers and children. We assessed bullying victimization in the Environmental-Risk (E-Risk) Longitudinal Twin Study, a nationally-representative sample of 1,116 families with twins. We collected reports from mothers and children during private interviews, including detailed narratives. Findings showed that we can rely on mothers and children as informants of bullying victimization: both informants provided information which adhered to the definition of bullying as involving repeated hurtful actions between peers in the presence of a power imbalance. Although mothers and children modestly agreed with each other about who was bullied during primary and secondary school, reports of bullying victimization from both informants were similarly associated with children’s emotional and behavioral problems and provided similar estimates of genetic and environmental influences. Findings from this study suggest that collecting information from multiple informants is ideal to capture all instances of bullying victimization. However, in the absence of child self-reports, mothers can be considered as a viable alternative, and vice versa. The E-Risk Study is funded by the Medical Research Council (MRC grant G9806489). Additional support was provided by funds from the Johan Jacobs Foundation, the British Academy, the Nuffield Foundation. Sania Shakoor is supported by the Medical Research Council. Louise Arseneault is supported by a Career Scientist Award from the Department of Health, UK. Lucy Bowes is supported by the Economic and Social Research Council. Avshalom Caspi is a Royal Society Wolfson Research Merit Award holder. Terrie E. Moffitt and Avshalom Caspi are supported by the Lady Davis Fellowship of the Hebrew University and The Caselberg Trust. We are grateful to the study mothers and fathers, the twins, and the twins’ teachers for their participation. Our thanks to Michael Rutter and Robert Plomin, to Thomas Achenbach for kind permission to adapt the Child Behavior Checklist, and to members of the E-Risk team for their dedication, hard work, and insights.